You’d expect a self-styled “world-class nightlife destination” to be at the top of their game and at 1-Altitude, you won’t be disappointed. 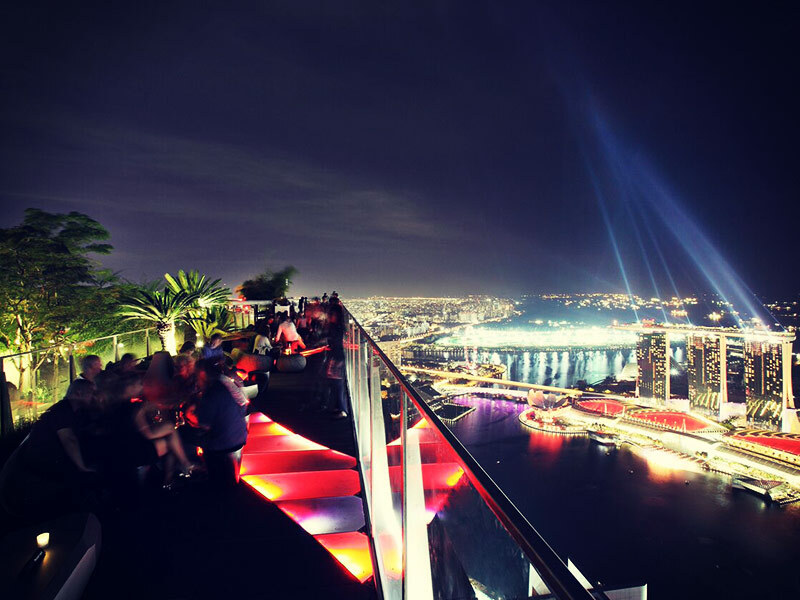 Sitting on floors 62 and 63 of the world-famous One Raffles Place, 1-Altitude and accompanying restaurant Stellar is the world’s highest alfresco bar and boasts a sensational 360° vista of one of the world’s trendiest cities. 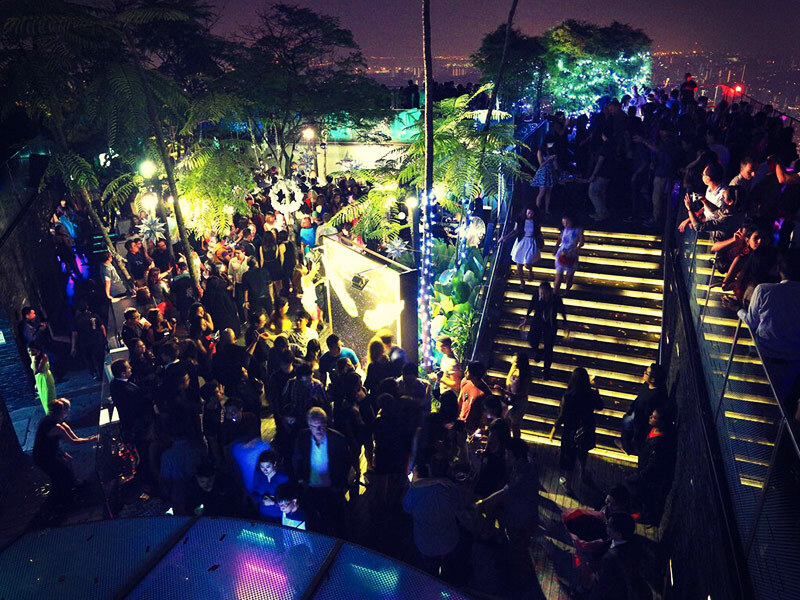 Opened in July 2010, the bar is amongst the most popular in all of Singapore. Notwithstanding the view, there’s so much more to be dazzled by. 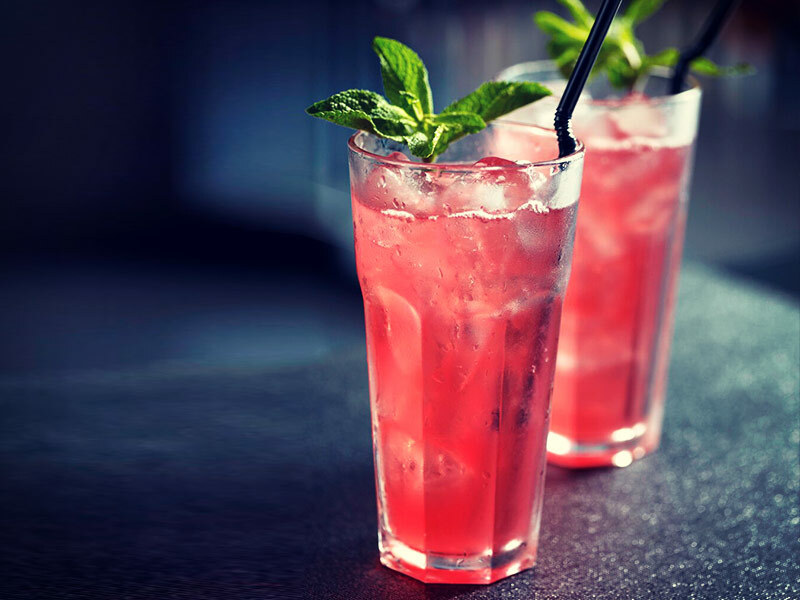 Between 6.00pm and 8.00pm, Sundown Affair is the perfect post-work chillout bar with a relaxed vibe, sunset cocktails and a menu of small plates and light bites including charcuterie plates, gourmet pizzas and traditional bar snacks but come nightfall, 1-Altitude get some serious attitude. Boasting the same floor-to-ceiling windows as 1-Altitude upstairs with the same sensational views, Stellar is an award-winning fine dining restaurant with a multi-concept open kitchen. Not for vanity but to pay homage to the concept that dining is done with not only the taste buds but with all the senses. Food needs to be seen, heard and listened to and Executive Chef Christopher Millar has created a stunning à la carte menu at S$95pp featuring the best seasonal produce and prepared in his “culinary workshop” but the star, literally, is his Stellar Constellations Gastronomic tasting menu. 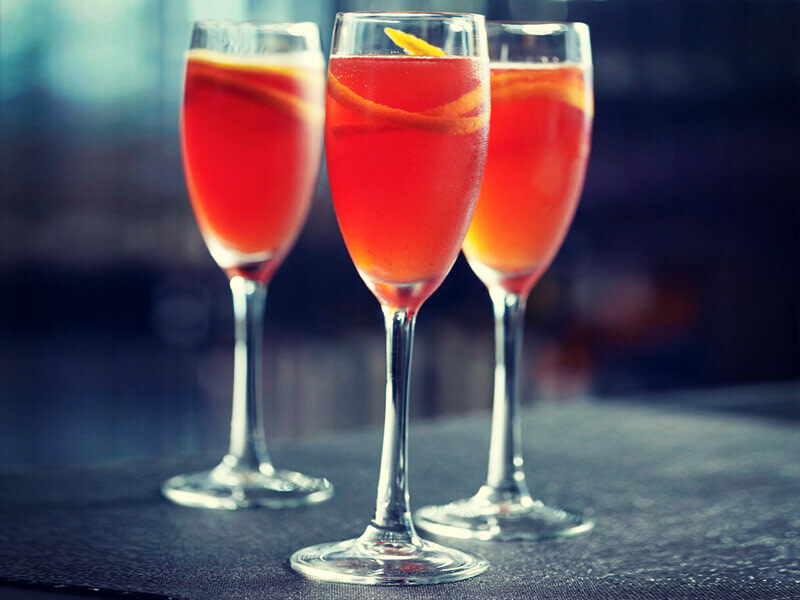 Choose from six (S$120), seven (S$140) or eight (S$160) courses as well as two glasses of Krug Grand Cuvée at S$65 each for a quite exquisite epicurean escapade. 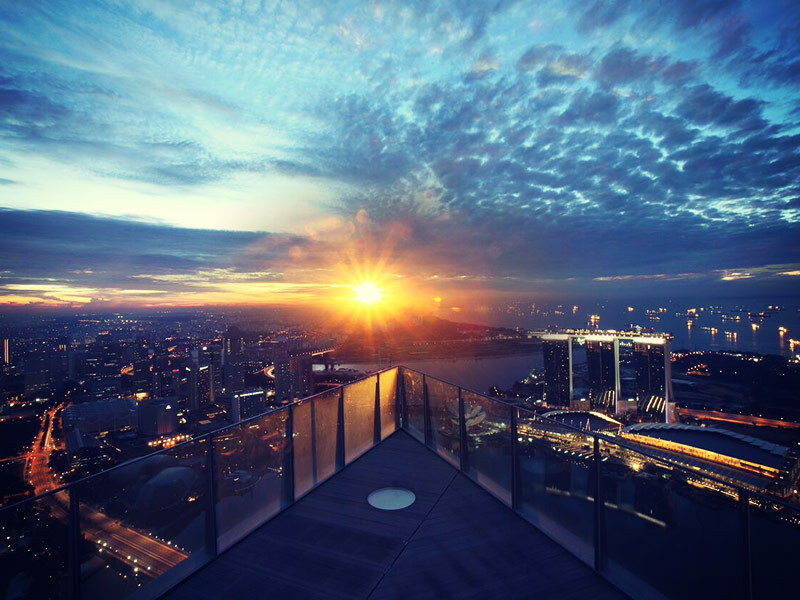 The ethos of the owners of 1-Altitude is to give visitors an experience like no other in Singapore and after one visit you’ll know they fulfilled their brief.